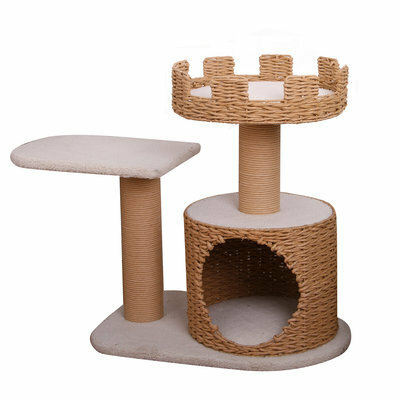 Eco friendly cat castle made with recycled paper and lamb fleece. 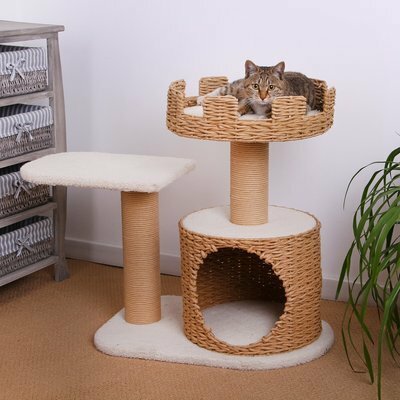 Includes scratch posts and resting areas. Dimensions: 24" x 16" x 27"